When it comes to getting the best personal protection for your next ride, there is only one name that comes to mind. With their focus on durable material of the highest standards and comfort in every sense of the word, Bell helmets are one of the most respected and sought-after names on a competitive market. We are pleased to bring you the endurance and performance of Polaris Bell helmets for your next ride. 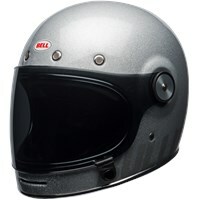 We offer a wide selection of choices when shopping for the incomparable quality of Polaris Bell helmets. From designs with cutting-edge flame graphics for a cool visual to a classic racing strip option in a cool pearl tone, there are plenty of unique and stylish designs to help you make a style statement with every ride that rings true to your personality. While the matter of style is important, the heart of every design is the overall safety and features. For example, Bell helmets are made with a low-profile carbon composite shell which is durable for the best in protection while the interior is genuine leather for an antibacterial solution. The interiors are also removable for easy care and cleaning as needed. Made with front chin vents with metal mesh intake and exhaust vents, as well as contoured chin pads, these helmets are made with every effort to ensure comfort when you wear them. With multiple shell and EPS sizes available, you can get the right fit for your needs. These helmets also offer features such as integrated speaker pockets and accessory shields for a personalized look to fit your preferences. Best of all, these helmets come with an industry-leading five-year warranty for added confidence with the purchase. When you need the best in protection, style, and function, this is the name for your needs. Find your new helmet here with our great selection. Here at Polaris Parts Nation, we are committed to delivering outstanding customer service. If you have any questions while shopping with us, please reach out for assistance on the matter.